‘The ‘Ulamah differed amongst themselves regarding the word “Sayyidunā” when sending Salāt on the prophet (صلى الله عليه وسلم). Imām Ibn Hajar was asked regarding this point and he answered in a very convincing manner. The following paragraphs present the question and the answer. The question: Is it an obligation in Salāt or outside Salāt that a muslim says the word “Sayyiduna” when sending Salāt on the prophet (صلى الله عليه وسلم) such as to say: “Allāh humma Sallī ‘Alā Sayyidinā Muhammad” or “‘Alā Sayyidil khalq” [the master of the creation] or should one only say: “Allahumma Sallī ‘Alā Muhammad”? which one is better?? The hādīth that states: “Lā Tusayyidūnī Fī As-Salāt” [i.e. Never say “Master” in your Salāt] is a forged one, even the word “Tusayyidūnī” is linguistically incorrect; the proper derivation of the word should be “Tusawwidūnī” [i.e. call me master]. This hadīth is a forged one that has no basis whatsoever (2) regarding Isnād and Matn. were it authentic, we would have used it as a proof for the point under discussion. Many Muslims mix the forms of Tashahhud and come up with a new one that runs as follows: ‘Allāhumma Sallī ‘Alā Muhammad Wa’alā ‘Āl: Muhammad, Kamā Sallayt ‘Alā Ibrāhīm Wa’alā ‘Āli Ibrāhīm. Fil ‘Ālamīn. Innaka Hamīdun Majīd’. This new mixed wording of Tashahhud is illegal for any act of worship should be taken from the prophet (صلى الله عليه وسلم), no more no less, and the previous wording of Tashahhud was not affirmed to be of the prophet’s (صلى الله عليه وسلم) Sunnah; on the contrary it is a mixture of two Sahr’ wordings. The first: ‘Allāumma Salli ‘Alā Muhammad, Wa’alā(3) ‘Āli Muhammad, Kamā Sallaita ‘Alā Ibrāhīm Wa’alā ‘Āli Ibrāhīm. Innaka Hamidun Majīd. Allāhumma Bārik ‘Alā Muhammad Wa’alā ‘Āli Muhammad Kamā Bārakta ‘Alā Ibrāhīm Wa’alā ‘Āli Ibrāhīm. Innaka Hamīdun Majīd’. When a muslim recites one of the wordings of Tashahhud, he should stick to its wording, with no addition or omission, for Tashahhud is an act of worship that is taken from Shar’i texts that should never be changed. Adding the words “Bismillāh” to the beginning of Tashahhud and “As’alullāh Al-Jannah Wa’a’ūthu Billāhi Minan Nār” [I ask Allāh to admit me to Paradise. And I seek refuge with him from Hell] to its end is also a mistake done by some muslims. Muslim said: ‘the wording of Tashahhud was related from the prophet صلى الله عليه وسلم) through many authentic narrations none of the following statements was affirmed to be mentioned in them at all’: ‘Bismillāh or Billāh in its beginning, As’alullāhal Jannah Wa ‘A’ūthu Billāhi Minan Nār at its end’. Imām An-Nawawī said: ‘Scholars differed regarding the obligation of sending Salāt on the prophet (صلى الله عليه وسلم) in the second Tashahhud in Salāt. Abū Hanīfah, Mālik and the Jumhūr held it to be a Sunnah that if not done, one’s Salāt is still valid, while Ash-Shāfi‘ī and Ahmad regarded it to be a Wājib that if not done, one’s Salāt is rendered invalid. This is also ‘Umar’s and his son’s opinion which Ash-Sha’bī shared with them. Some scholars stated that Ash-Shāfi‘ī contradicted the Ijmā’holding such an opinion. This is not true for it is Ash-Sha‘bī’s opinion -as narrated by Al-Baihaqī. obligation is not clearly affirmed. Ash-Shāfi’iyyah scholars support their opinion with Abī Mas’ūd’s Al-Ansārī’s narration [who stated that] the Sahābah asked the prophet (صلى الله عليه وسلم) about the way they could send Salāt on him, to which he (صلى الله عليه وسلم) answered: ‘Say: Allahumma Sallī ‘Alā Muhammad (صلى الله عليه وسلم)… etc . ‘And this prophet’s (صلى الله عليه وسلم) order is an obligation that must be followed. He (صلى الله عليه وسلم) said: ‘Say: Allahumma Sallī ‘Alā Muhammad (صلى الله عليه وسلم)… etc’. the addition in this narration is authentic; narrated by the two great Imams Abū Hātim Ibn Hibbān Al-Bastī and Al-Hākim Abū ‘Abdillāh in their “Sahīhs” stating its authenticity. They both supported it with onther narration traced back to Fudālah Ibn ‘Ubaid to have said: ‘Allāh’s Messenger (صلى الله عليه وسلم) once saw a man doing his Salāt. [when reaching Tashahhud, he started calling Allāh for his well affair], he neither praised Allāh nor glorified him, nor did he send his Salāt on the prophet (صلى الله عليه وسلم). Seeing this, the prophet (صلى الله عليه وسلم) said: ‘He is hasty’. Then he called him and instructed him saying: ‘when you do your Salāt, start [your Du‘ā’] with praising and glorifying Allāh then send your Salāt on the prophet (صلى الله عليه وسلم) and then call unto Allāh with that which your heart desires’. Al-Hākim judged this Hadīth to be authentic for the conditions Muslim set for authentic narrations apply to it. Although these two narrations include acts that are not obligatory on the praying muslim such as sending one’s Salāt on the prophet’s ‘Āl [house hold] and his off spring and saying the Du‘ā’, one could – however- consider them as evidences [on the obligation of Tashahhud] for any order indicates that the thing ordered is an obligation. If parts of any order are not an obligation due to a certain evidence this does not entail that the other parts are not. Allāh knows best. [Commenting on An-Nawawi’s last point,] Al-’Amīr As-San’ānī said: ‘Sending one’s Salāt on the ‘Āl is not just recommended as An-Nawawī and others stated. On the contrary; sending Salāt on the prophet (صلى الله عليه وسلم) is not complete unless a muslim recites the whole wording of it which includes the ‘Āl for [it is narrated that] the Sahābī asked the prophet (صلى الله عليه وسلم) regarding how to send Salāt on him (صلى الله عليه وسلم), and he (صلى الله عليه وسلم) taught him the whole wording that contains sending Salāt on both: the prophet (صلى الله عليه وسلم) and his house hold. Ibn Al-‘Arabī shared As-San’ānī his opinion considering sending Salāt on the prophet (صلى الله عليه وسلم) as an obligation. He said: ‘Sending Salāt on the prophet (صلى الله عليه وسلم) is an obligation to be done at least once in one’s life as agreed upon amongst scholars. As for doing it in Salāt itself, Muhammad Ibn Al-Mawwāz and Ash-Shāfi‘ī held it to be an obligation without which one’s Salāt is rendered invalid. Other ‘Ulamah held an opposite opinion; they held it to be a Sunnah. The soundest opinion is the former for it is supported by the hadīth in which the prophet (صلى الله عليه وسلم) displayed the time and manner of sending Salāt on him. Our Shaikh Al-‘Albānī shared Ibn Al-‘Arabi his opinion as stated in his “Sifat Salātun Naby”. (9) He mentioned Fudāla’s narration which An-Nawawī related- under the title ‘The obligation of Sending Salāt on the Prophet (صلى الله عليه وسلم)’ and then said: ‘It was narrated by Ahmad, Abū Dāwūd, Ibn Khuzaimah, Al-Hākim -who considered it as authentic and with which Ath-Thahabi agreed’. Al-Mandūd Fis Salati Was Salāmi ‘Ala Sāhib Al-Maqām Al-Mahmūd”. Sending Salāt on the prophet (صلى الله عليه وسلم) is not restricted to the second Tashahhud; it could be recited in the first one too. In addition to that, the authentic ahādīth indicate clearly that Du‘ā’ could be recited after reciting the first Tashahhud. One of these ahādīth is the one narrated by ‘Abdullāh Ibn Mas’ūd (صلى الله عليه وسلم) to have said: ‘We used to perform Salāt and know nothing to say after the first two Rak’ahs but Tasbīh, Takbīr and Tahmīd. Muhammad (صلى الله عليه وسلم) indeed taught us all the good things to be said. 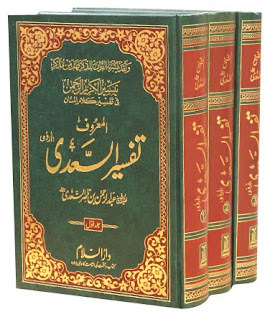 Ma‘rifat Al-Hadīth Al-Mawdū‘“ (no. 395). stated that this hadīth is a forged onbe. Accordingly, Ahlus Sunnah must a bandon the Rafidah way and pronounce the word “‘Alā” [in their Tashahhud]. See: “Mu‘jam Al-Manāhī Al-Lafthiyyah” (p. 16). (4) For more details on the narrations regarding the wordings of Tashahhud. See: “Sifat Salātun Naby” (pp. 178 – 81). (5) See “Dalā’il Al-Khairāt” by: Khairud Dīn Wanlī (pp. 29 – 30). (6) “Sharh Sahīh Muslim” by An-Nawawī (vol. 4 / p. 123), see also: “Fathul Bārī” (vol.11 / p. 163..). 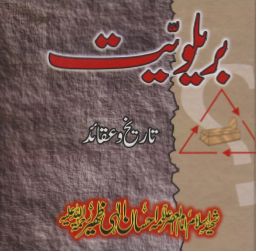 (7) See: “Subulus Salām” (vol. 1 / p. 193). 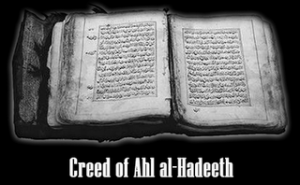 Al-Hādī, Al-Qāsim, Ahmad Ibn Hanbal and some Shāfi‘ī scholars all held it an obligation to recite the full form of the Salāt on the prophet (صلى الله عليه وسلم) after reciting Tashahhud as stated in “Naylul Awtār” (vol. 2 / p. 324). In “Al-Qawlul Badī‘“ (pp. 90 – 1), As- Sakhāwī related from Al-Baihaqi in his “Shu‘ab” from Abī Ishāq Al-Marwazi – a great Sahfi‘ī scholar – to have said: ‘ I believe that sending Salāt on the prophet (صلى الله عليه وسلم) and his ’Āl is an obligation in the last Tashahhud of Salāt. Al-Baihaqī commented: “The affirmed ahādīth that show the way of sending Salāt on the prophet (صلى الله عليه وسلم) are evidences on what he believed in”. Then he [As-Sakhāwī] said: ‘Our shaikh -Ibn Hajar- said that what At-Tahāwī mentioned in his “Mushkil” indicates that Harmalah reported this from Ash- Shāfi‘ī’. (8) See: “Ahkāmul Qur’ān” (vol. 3 / p. 1584) and “Al-Fathur Rabbanī” (vol. 4 / p. 28). (10) Al-‘Umm (vol.1 / p. 102). (11) See: “Sifat- Salātun Naby” (p. 185). (12) Narrated by Ahmad in “Al-Musnad” (vol. 1 / p.437), An-Nasā’ī in “Al-Mujtabā” (vol. 2 / p. 238) and At- Tabarānī in “Al-Mu‘jam Al-Kabīr” (vol. 10 / p. 57) (no.9912). Its chain of narrators is authentic- and considered connected according to the conditions set by Muslim- as is explained in “As- Silsilah As- Sahīhah” (no. 878). (13) “Silsilat Al-’ahādīth As- Sahīhah” (vol. 2 / p. 567). (14) “Fatāwā Ibn Taymiyyah” (vol. 22 / p. 613).